Katsushika [W:Hokusai] (1760-1849) is a print master, an artist in Japan that represents Edo period. A natural picture, the beautiful woman picture, and the kabuki picture were his skillful areas, and “Fuji 36 scenes” is especially famous. 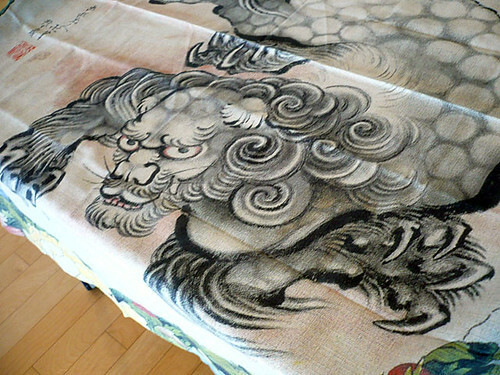 His work has a large influence on an overseas artist. 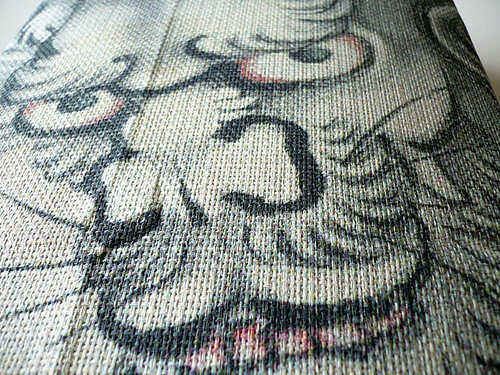 There is no person who knows the Japanese art and doesn’t know Hokusai. 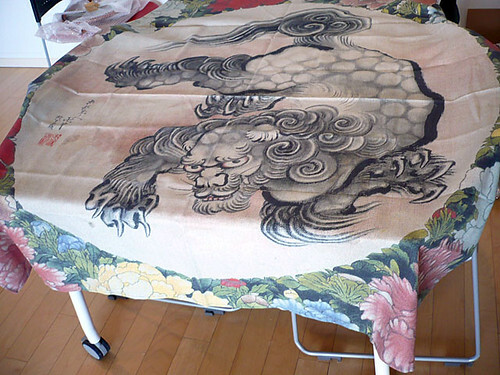 His such art revives in the Furoshiki now. 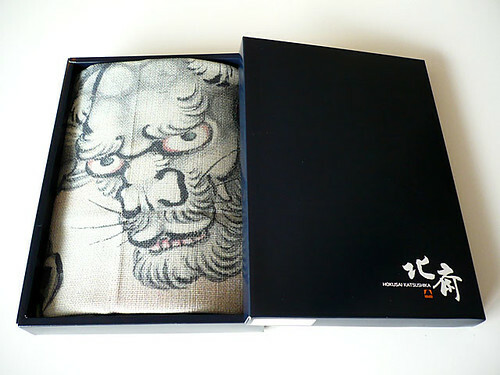 Furoshiki is a square cloth, one of Japanese traditional craft goods, it is used for wrappping a present or carrying a luggage, and for many other purpose. 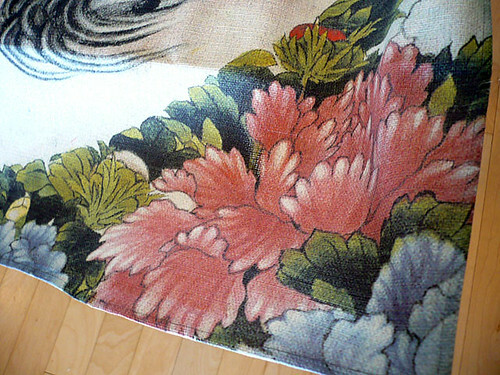 It can be used for a scarf or a tapestry as you like. Please see the photograph, and discover the beauty of this commodity.